Would someone post the cover photo or tell me where to find it? Popular Mechanics June 1987. They pop up on ebay from time to time. Think I got mine for 99¢. Article doesn't talk about the Starfire much though. 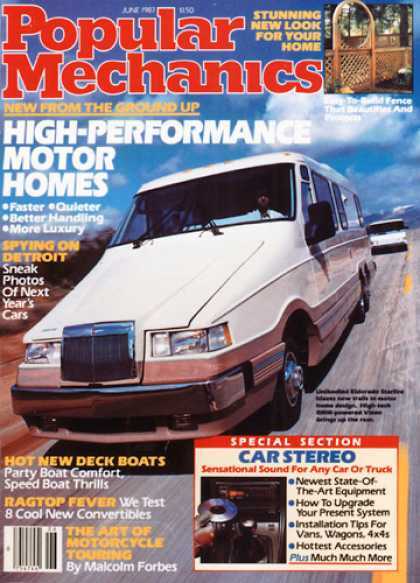 There is a opening photo spread where it is flanked by an Astro Van based Allegro and an Itasca Windcruiser. It's a two tone light blue one in the spread and two tone tan on the cover. Best quote about the Starfire: "Performance is Brisk." Rest of the issue is pretty good as well.